John Terry seals new Chelsea deal: Chelsea veteran defender John Terry has signed a new improved deal which will keep him until next year’s summer, according Chelsea official website. Chelsea veteran defender John Terry has signed a new improved deal which will keep him until next year’s summer, according Chelsea official website. Chelsea captain who has signed a £150,000 a week contract has made more than 650 appearances for the Blues since playing his first game in 1998. 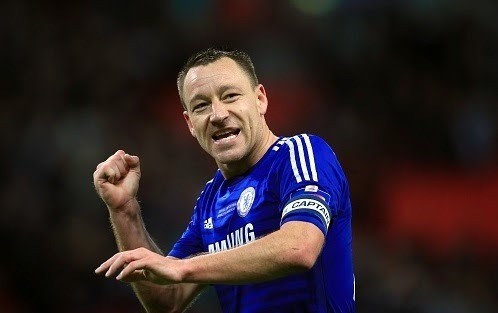 Terry has been an important player for Jose Mourinho’s side. Despite of reaching the age of 34 he is still performing at his very best level. Terry has played 36 games so far this season. On the other hand Portuguese boss added this contract is not because of his successful years at Stamford Bridge, he is continuing to perform and that’s the reason Chelsea decided to offer him a new deal. He has won Champions League, Europa League and Premier League so far in his 17 years at Chelsea and is likely to add another title of Premier League this season. He has also won several records individually, he won PFA Player of the Year in 2005 and was named five times in a row in FIFPro World XI team. Chelsea are currently on first spot in the Premier League and they are the favourites to lift the title in May.